Here in Italy the Apple II family of computers wasn’t very common. 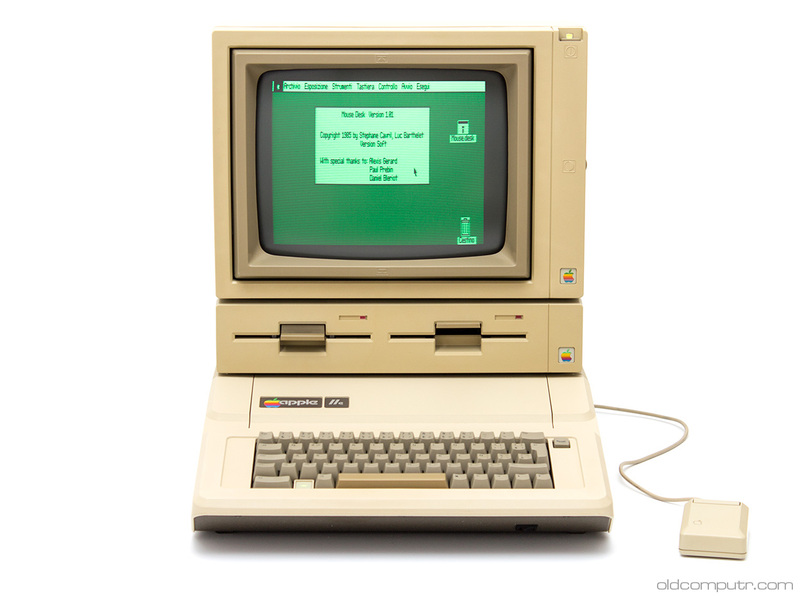 The Apple II was used by my parents’ generation rather than my own, mostly because it was much more expensive than more “popular” alternatives. 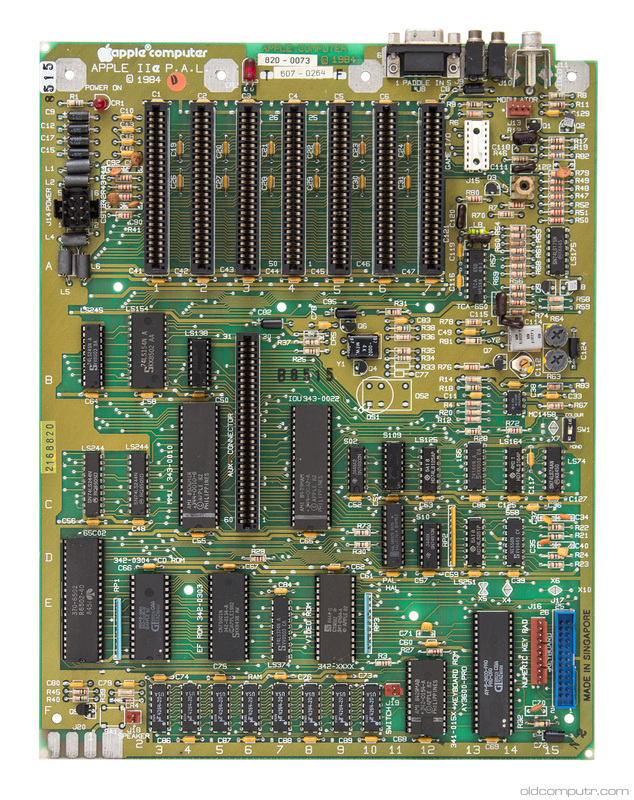 The configuration of this Apple IIe is fairly standard for the times: third party Centronics printer interface, Apple 80 columns + 64KB RAM expansion, mouse interface, and floppy controller; DuoDisk and monochrome monitor. 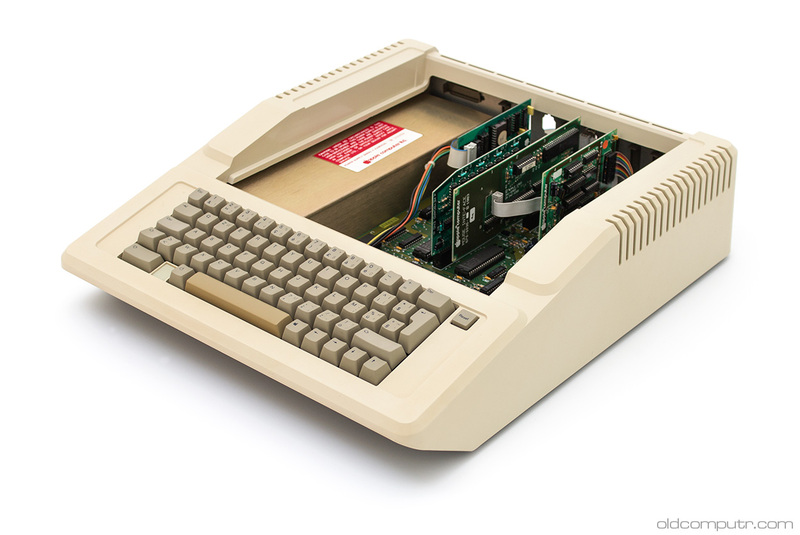 It is similar to its predecessor, the Apple II+. The only repair I had to do was to replace the power supply filter capacitor that had already exploded when I got the computer. 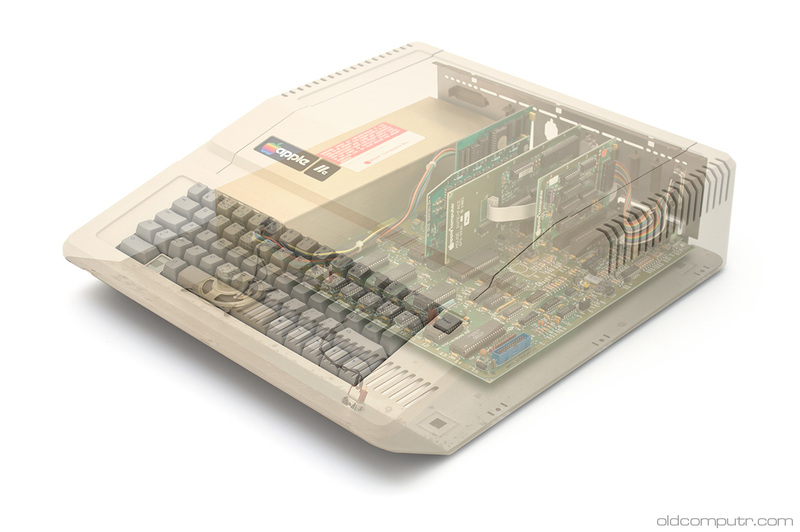 The Apple IIe is very easy to disassemble. To reach the motherboard you just have to open the lid, and to dismantle it you just have to unscrew some screws. 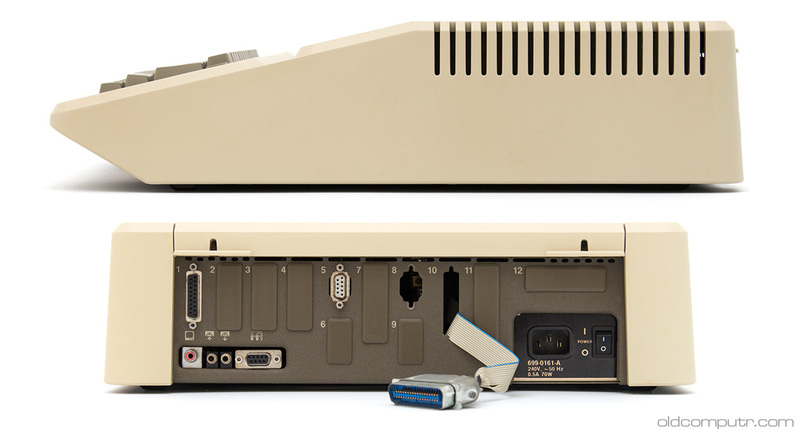 The motherboard is the PAL version, with the expansion connector aligned with slot 3; the international IIe has a connector for a switch that changes the character set. 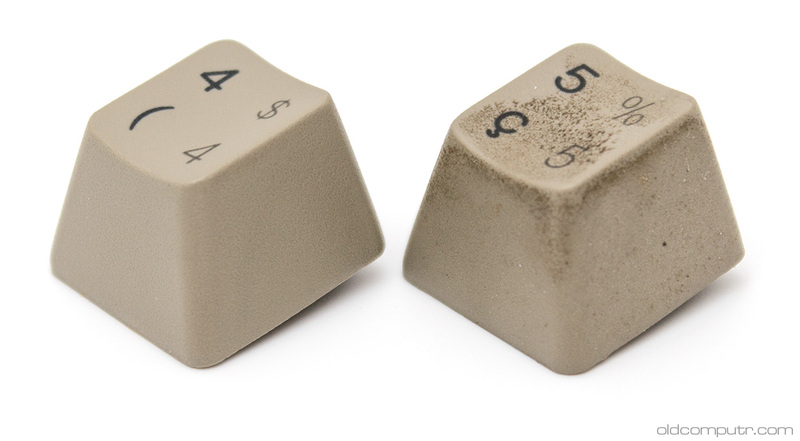 The keyboard, like the rest of the computer, was rather filthy. 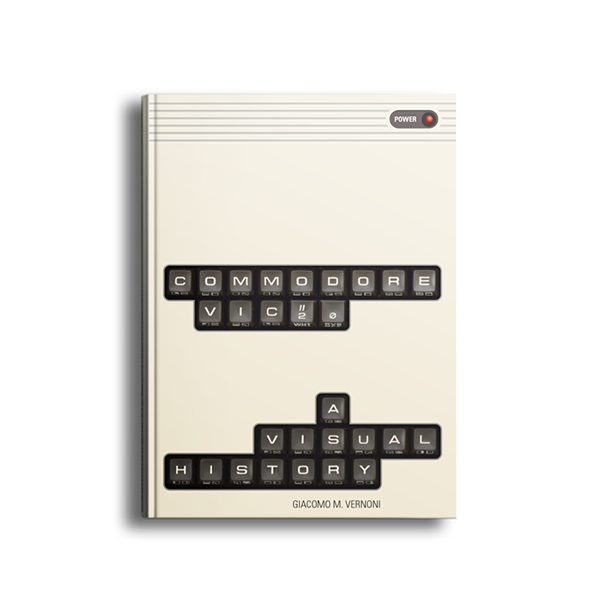 As I said before, the IIe can display two different set of characters: the original one for maximum compatibility or the Italian one with accented letters. The keyboard shows both layouts. The case of the monitor gives the idea of the initial condition of the system… the computer was even dirtier. 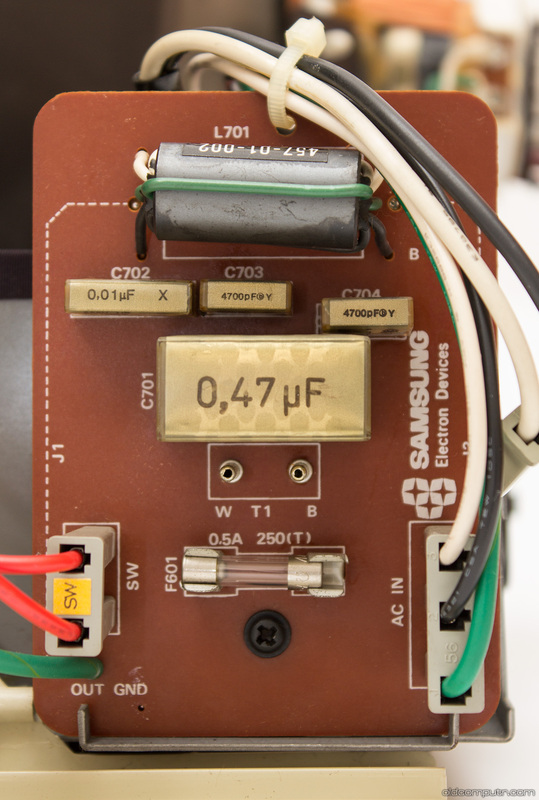 The monitor has a few filter capacitors that should be replaced too. They don’t look so bad, and they kept working while testing the system and taking the pictures… but they’re a time bomb and I must remember to buy some replacements. 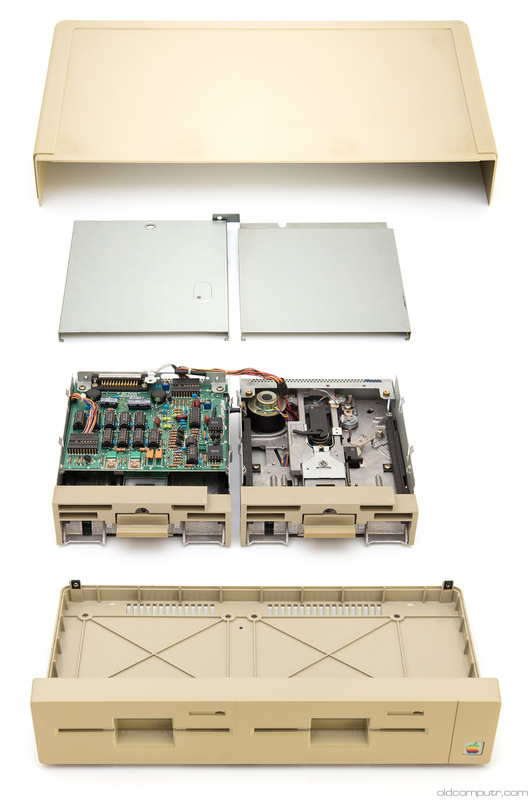 The DuoDisk has just a yellowed front panel; after cleaning the disk heads with isopropyl alcohol, it read the floppies without a glitch. 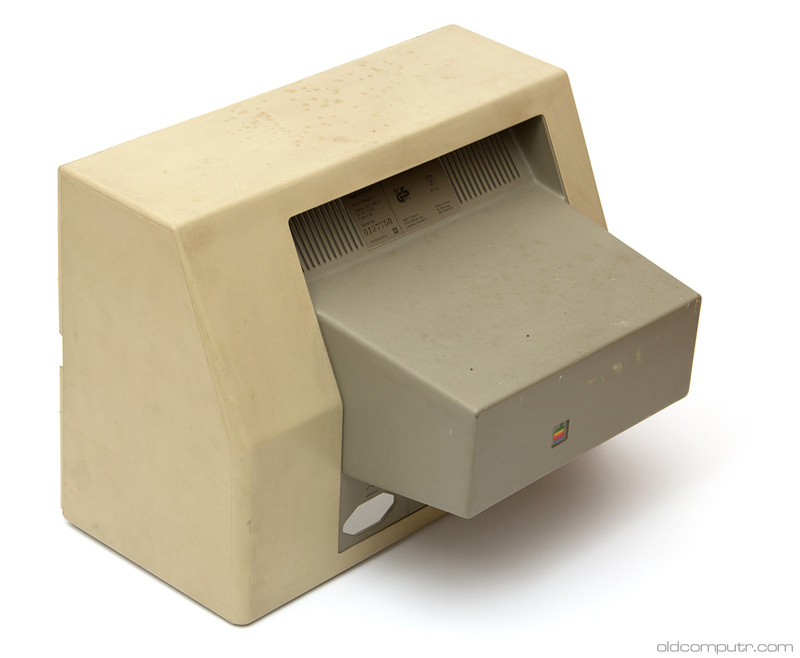 The first picture shows Mouse Desk, a graphical environment similar to the one used by the Apple Lisa and Macintosh. Since there are two drives, there’s no passthrough connector on the back. By taking two pictures on a tripod, I created this image where the case is transparent and you can see the inside of the computer.